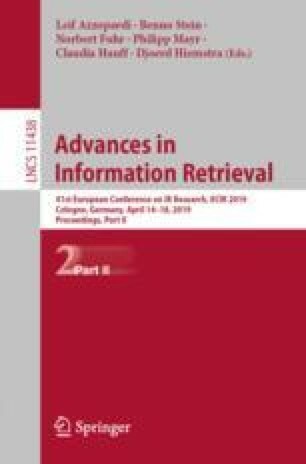 In this paper, we present a system that allows researchers to search for papers and in-text citations in a novel way. Specifically, our system allows users to search for the textual contexts in which publications are cited (so-called citation contexts), given either the cited paper’s title or the cited paper’s author name. To better assess the citations qualitatively, our system displays indications about the so-called citation polarity, i.e., whether the authors wrote about the cited publication in a positive, neutral, or negative way. Our system is based on all computer science papers from arXiv.org and can be used by computer science researchers to reflect on their appearance within the scientific community as well as by researchers studying citations. This research has been supported by the Research Innovation Fund of the University of Freiburg (#2100189801), by JSPS KAKENHI grants (#17H01828, #18K19841), and by the MIC/SCOPE (#171507010) grant.